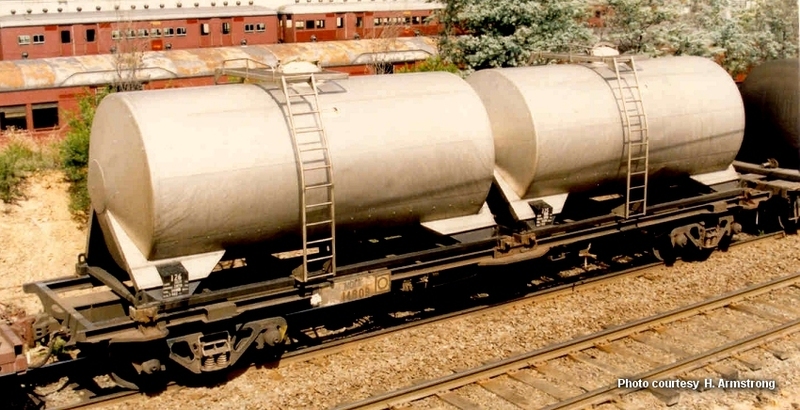 The ubiquitous NSWR 45’ Container wagon built in 1972 by Railway Workshops and again in 1974 by Clyde Workshops. All feature the unique design detail, where the 6” deep side solebar extended past the headstock. 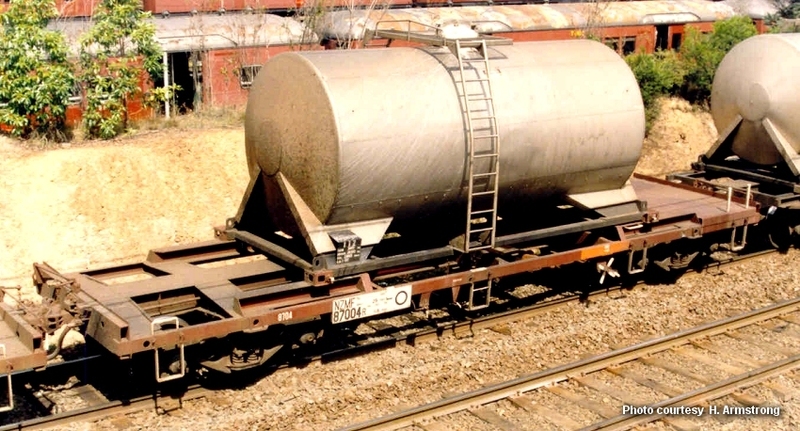 Some were fitted with electric wiring for refrigerated container traffic and some had their deck completely sheeted for explosive container traffic, these wagons were recoded NSPF and used by ICI. These were converted from BSV sheep van chassis and were ideally suitable for milk container traffic. One end of the deck was sheeted in checker plate for ease of access when unloading. Occasionally they were also used in ordinary container traffic.